Summer has officially arrived with kids out of school and beaches packed to capacity. 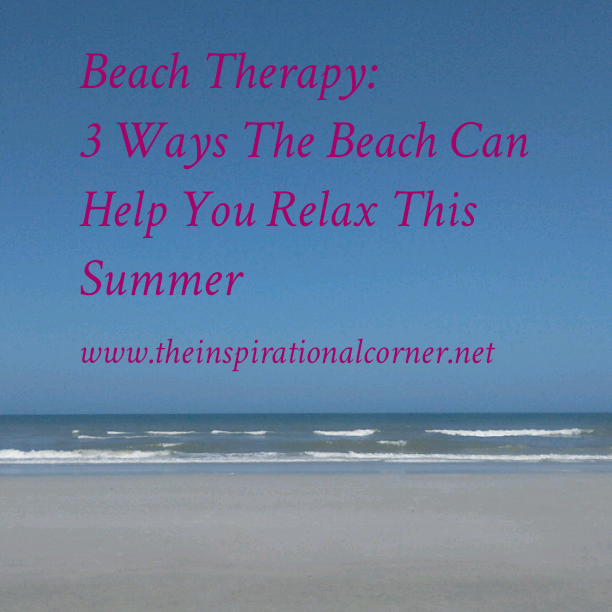 As the heat beats and temperatures rise the greatest place to stay cool and relaxed is at the beach. The beach is my favorite spot to go to when I want to feel the water tingle against my feet and get a clear perspective on my life. It is always soothing to get a good book to read when I am at the beach. The beach has a magical vibe especially during the week while everyone is working. The soothing swoosh of the waves have a melodic tune. When I look out into the water I get lost and let my thoughts wander aimlessly. It is great sense of healing and therapy to me when life seems to suffocate me. 1) Go Workout At The Beach. It is so refreshing when you decide to take your workout outdoors. It gives you a chance to connect with nature & start your morning off to a positive start. However, taking your morning jog, run or yoga exercise to the beach can be even more relaxing. It will help you connect with your inner self & create a positive mindset for your workout. 2) Meditate At The Beach. Meditation is one of the most important part of my morning routines. Taking your morning meditations to the beach can enhance your mental awareness, assist in your breathing techniques & help you visualize a beautiful picture as you look out in the sea. 3) Read A Book At The Beach. If you are a book lover like me books are a great form of relaxation. It helps you take your mind off the real world and allow you to bury yourself in a world of imagination. It is even more relaxing to take your favorite book to the beach & get lost in the beauty of the beach. The summer is a great time to relax, unwind & embrace the joys of beach life, might as well get some beach therapy while the weather is still alluring!